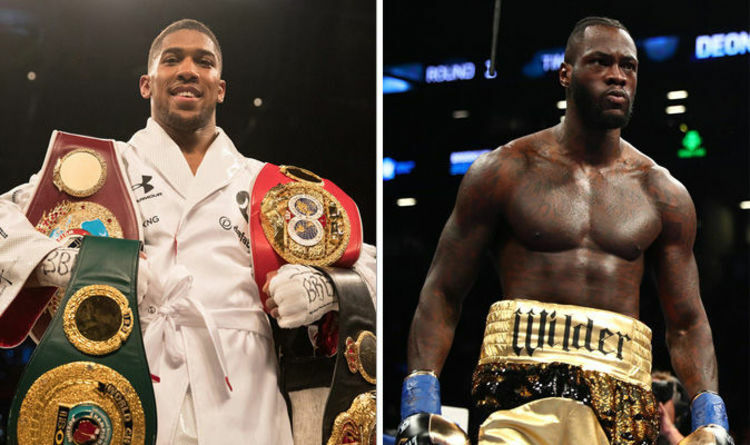 Eddie Hearn, head of Matchroom Boxing who promote Joshua, insists that a super fight with Wilder in late 2018 is still a strong possibility despite complex contract talks which have continued to stall since the unbeaten 28-year-old beat Joseph Parker in Cardiff last month. The latest offering saw WBC champion Wilder put forward a 50-50 split, offering a guaranteed sum of $ 50million (£36m), which followed Joshua’s initial proposition of $ 12.5m (£8.8m). Yet the most recent talks quickly fell apart after Wilder demanded that Hearn accept the deal inside 24 hours and before seeing a contract. And while Joshua’s hopes of facing Wilder next to add the WBC belt to his WBO, WBA (Super) and IBF straps are beginning to fade with possible mandatory challengers beginning to enter the equation, Hearn is confident that the British star’s next showdown will be against Wilder. He told boxing channel iFLTV: “The fight is ongoing. The negotiation is ongoing. I think the fight will get made but don’t listen to the bulls**t. Don’t listen to the bluff. We’re talking to people who aren’t interested in trying to make themselves relevant again. “We’re talking to smart people who are happy to work on a deal behind closed doors. I believe it will happen. I believe it will happen next. But it ain’t gonna happen today, tomorrow or next week. “Maybe they tried to have a bluff move to get us to improve our offer. But our offer was real, their offer is not real until they can prove it’s real. If they won’t meet me and won’t send me a contract, how can I even know it’s real? “I think it will be somewhere between September and December. I think Showtime [Championship Boxing] like the fight in November, we’ve spoken to them. We want the fight in the UK. Our offer was based on the UK fight. Asked whether Wilder’s supposed offer might have been a deliberate tactic to get Matchroom Boxing to increase their proposed purse in response, Hearn added: “Possibly. We may counter. “They certainly know we can’t accept the deal without paperwork but they probably know that they could force an offer that was ‘We have total control, you don’t have any input. We decide all the broadcasters, all the sponsors’. “We can’t do that under our existing contracts and they know that. It was quite clever but now as it’s unfolded, people have realised it’s bulls**t.